I’m pleased to have Karen Murdarasi in my Author Spotlight today. Karen previously wrote a guest post about what not to ask a writer – advice I have found very useful when chatting to authors at various events! You can read that here. Today she’s going to tell us a bit about herself and her latest book – Why Everything You Know About Robin Hood is Wrong. Thanks for joining me Karen. First of all, would you tell my blog readers a little about yourself? I’m a Scottish author with a background in Ancient History, and fairly eclectic interests. Most of my work that is published so far is YA Christian books, but I also write non-fiction and short stories, and I’m working on my fourth novel. Back in 2007, when I was living in Albania, my mother told me about a novel competition being run by Scripture Union. I wrote my first novel, Leda, for that competition, and it was shortlisted but not published. Back in the UK, I started submitting short stories to magazines and anthologies, and had some success. However, despite one or two near misses, I didn’t manage to find a publisher for Leda. Then in 2012 I had the opportunity to give up my office job to help look after my new niece. I took the chance to get into professional writing more seriously: I self-published Leda, with modest success, and on the strength of that I was invited to write a couple of novelised biographies for Christian Focus Publications. Competitions opened up more doors to writing for Premier’s Christianity magazine and Word of Mouth Productions, so that now I’m published fairly regularly and have a decent back-catalogue. Most recently I’ve created my own imprint, Hephaestion Press, to publish Why Everything You Know about Robin Hood Is Wrong, because its short format makes it a hard sell to smaller publishers, and as I don’t have an agent I don’t have access to the ‘Big Five’. Why Everything You Know about Robin Hood Is Wrong has a fairly self-explanatory title! Each chapter takes a well-known ‘fact’ about Robin Hood – his true love was Maid Marian, he fought in the Crusades, etc. – and shows not only how it isn’t true, but how that particular aspect entered the legend. It was great fun to write, because of the interesting subject matter but also because it’s in an informal style with quite a lot of sarcastic humour. I was telling my family what I had learned about Robin Hood, and said that I should write a book called Everything You Know about Robin Hood Is Wrong. My sister suggested I add the “why” to make it less confrontational, and I agreed with her. I do like the title, and the fun subtitle (Featuring a pirate monk, a French Maid, and a surprising number of morris dancers) but it is an absolute pain to type out after the first 20 times or so! I’m having a launch in the Virgin Money Lounge, Glasgow. Despite being a bank, they don’t seem to mind hosting a book about a robber! It’s is on 24th November 2018, which is in the future now, but will probably be in the past by the time you read this. I am so close to finishing The Sarcophagus Scroll, a thriller I’ve been working on for over a year. Only a few hundred words more… After that I’d like to give a bit of time to writing short stories before plunging into the research for another non-fiction book, this time on alchemy. 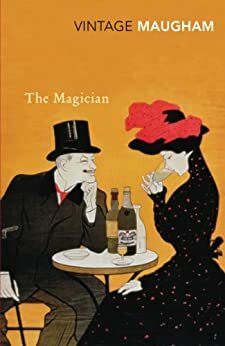 The book that blew me away recently was The Magician by Somerset Maugham. I only ended up reading it by chance, because I couldn’t get hold of another Maugham book I wanted, but it turned out to be a wonderful piece of serendipity. The villain, Oliver Haddo, is an alchemist/magician, repulsive and fascinating in equal measure. I read The Magician just before I was commissioned to write an article on Isaac Newton, who was also an alchemist and has been described as “the last of the magicians”. And to this coincidence I can attribute my sudden desire to write a book on alchemy! 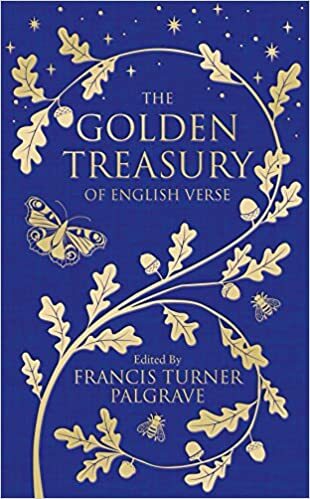 I would take Palgrave’s Golden Treasury – the five-volume edition. It’s an anthology of English poetry with selections ranging from Matthew Arnold and Milton up to the nineteenth century, and later an extra, fifth volume of twentieth-century poetry was added by other editors. For me, poetry is like medicine for the soul: you can go a long time without even thinking about it, but then there comes a time when you desperately need it. It would be a great comfort alone on a desert island. Although I suppose something by Bear Grylls would be more practical. In the novel I’m currently finishing, I picture the heroine’s sister as looking like a young Mila Kunis, and the hero bears a definite resemblance to Torrance Coombs, a not-particularly-well-known actor with very striking eyes. But the heroine just looks like herself. I’m not sure I’d be much help to a casting director, but it would be a lovely problem to have. I’m on Twitter as @KCMurdarasi, and I have a website and blog at kcmurdarasi.com. Main characters usually have such a tough life! It’s all tragedy and betrayal and physical and emotional hardship. But not always. I think I would be happy to be any character at all in The Enchanted April by Elizabeth von Arnim. It’s a book about disappointed people blooming into new life during a holiday in a beautiful Italian castle, and reading it is like taking a holiday yourself. I heartily recommend it. You can order a copy online by clicking here. What if everything you ever knew about Robin Hood was wrong? He wasn’t a nobleman. He never met Maid Marian. He didn’t go on Crusade. And he absolutely did not rob from the rich to give to the poor. For the first time, the information that medieval historians have about Robin Hood is made available to a popular audience. Why Everything You Know about Robin Hood Is Wrong is an illuminating, entertaining and really quite sarcastic trip through what we actually do know about one of England’s most famous heroes. and discover why none of them actually was. Find out how Maid Marian came over from France and how she was, ahem, intimately connected with Friar Tuck. And learn out more than you ever wanted to know about medieval hoods. 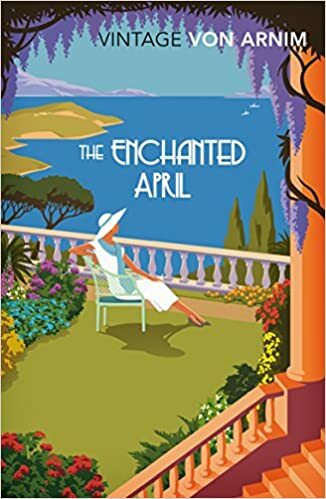 Read The Enchanted April with my book group this year and we all loved it. The film’s good too! I didn’t even know there was a film! I’ll have to look out for it. It’s lovely Karen. Portrays the book really well!